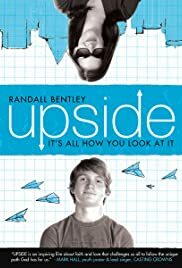 A concussion causes a high school lacrosse player to see everything upside-down. It's all how you look at it. Mrs. Buck: Craig, life is 10% what happens to you and 90% how you react. It's about the journey of a high school senior Solomon to maturity and finding his purpose in life and a very touching love story in between. Solomon is the star player of his High School Lacrosse team, the best. He is popular, have a stunning ex-girlfriend (with whom he broke up like 10 times and at present he is trying to stay firm in his decision not to reconcile again) and great friends to hang out with. His life was what most senior high consider 'the life'. But it all came to an end when an opponent knocked him over and caused him to black out during an important game which was supposed to get him into United States naval Academy, his life dream. The next time he opened his eyes everything was upside down, I mean literally it was upside down. The doctor seemed to be struck to the ceiling and so did every thing in the room. After lots of test it was confirmed he had injured his brain and in addition to the trauma he suffered has lead to alteration in his vision. He gets severe attacks once in awhile when everything starts spinning and immense headache takes over. He lost his change in the Naval Academy due to his injury, he was practically now a zero from a hero. With the help of morphine and many other strong doses of pain killers he started his journey to normality though things would never be the same again. Solomon felt comfortable when he was with Wren, he did not have to impress anyone he could just be himself. He found himself wanting to see her and he found himself drawing closer to her each time they met, and he even got her contagious humor. He learns from her life and she was a good influence on him. Found this part familiar? I did. It's like when we truly find God, we want to be with him, talk to him, and we draw closer to him each day and he makes us a better person each passing day. When Wren talked about her faith Solomon got skeptical but she replied 'You gotta believe in something' which made a lot of sense. Even though we don't trust in God at a point in our lives when things gets too out of hand we somehow hope in our heart that some thing of higher power is out there somewhere and everything will be alright. Mrs Buck, the English teacher who was willing to give up her job so a soul could be saved said this powerful and very true statement, "Life struggles are 10% the situation that we face and 90% how we react to it." I think we all can agree to this when we look deeper into the mess that that we are in. Cody was a man who was not able to get over the fact that his wife died in an accident, he was afraid to move forward without her and for two years he stayed stuck in his sad past. He got a change to guide Solomon with Mrs Buck's motivation. I feel it was redemption process for him helping Solomon get his life together. It was a restoration God wanted him to have. In the end he went on to become the father to the fatherless and husband to a husband less widow. Solomon found his purpose in life, and his desires are pretty much met. He becomes more responsible, mature and at peace. God wants you to decide for yourself. Don't look around you, if you need a guidance then look up to him cause he is the only one who can give you the desires of your heart and when that intimacy is build you will find your place and your identity. No more confusion, no more doing what others wants you to, no more running.